We are a small guest house in Osaka for all travelers who are looking for a BUDGET ROOM! Your room may be small… but you can have your own private room! 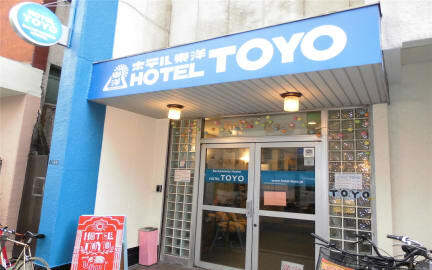 Backpackers Hotel Toyo Osaka is excellently located in Osaka city. Only a minute to Subway station which takes you to Namba and Umeda, the most exciting districts in Osaka. Also 3 min walk to JR and Nankai lines, which provide you the very easy access to Kyoto, Nara and Kobe. TOYO is a great place to meet new friends from all over the world and share travel tips in a homely atmosphere. Our friendly staffs are also willing to answer your questions. We will be your home away from home in Osaka! Kaiyukan Aquarium: 30min and more! We require 3 days notice prior to the accommodation date if you would like to cancel or alter your booking. Wonderful staying. I will suggest it also to my friends. Thank you again!